My wife and I were looking forward to trying this coffee from Community Coffee (www.communitycoffee.com). We’ve tried about nine of their coffees plus two decafs. You can’t go wrong keeping a bag of their ground traditional roast on hand. It is probably the best grocery store ground shelf coffee I’ve had. Our favorite from them is the Evangeline Blend followed by the French Quarter Fusion Blend. So you can tell by the history we were looking forward to trying this coffee. We planned on brewing it three different ways. First up was the auto-drip set and ready to go for when we woke up. It was good though there wasn’t a lot of aroma. This is a medium-dark roast, but it tasted kind of light to me. It left a good taste in the mouth, but I would have preferred a bolder coffee to start my day. Next we brewed it in the Chemex (www.chemexcoffeemaker.com). We brewed enough for two cups. 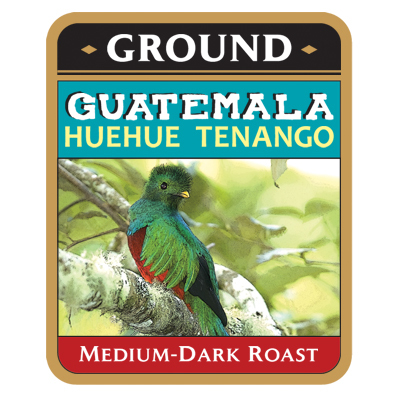 The Guatemalan Huehue Tenango (GHT) had a better aroma. My wife thought it had a slightly tart taste midway through the sip. It had a medium to full body. She liked this brew the best of the three. It was stronger or fuller than the auto-drip, but not bitter. 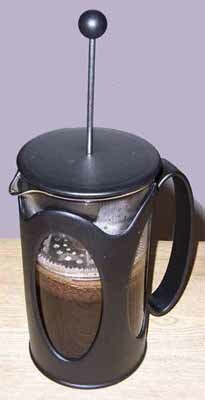 Lastly we brewed the GHT in the French Press. As I drank the coffee it had a slight tang to it. It also had a fuller body and feel. I thought there was a nice aftertaste when I swallowed the coffee. This was my favorite brew and flavor of the three. As I’ve said before, we are not coffee snobs or experts. We know what we like and what we don’t like. Both of us liked this GHT. We enjoyed the Guatemalan Huehue Tenango in the Chemex and French Press with our lunch. We enjoyed this coffee as a lunch or afternoon drink. Both of us liked it and would get it again. We recommend it to anyone who likes a medium-dark roast coffee. We would say it is our third favorite coffee from Community Coffee. You can find them at www.communitycoffee.com . If you like good coffee, you can’t go wrong trying theirs. You can also see the ongoing differences between husbands and wives. We both like the GHT, we just favored different brewing methods. It helps add spice to our marriage. We look forward to brewing and reviewing other coffees in the future. We received the Guatemalan Huehue Tenango for free from Community Coffee to review and our review is objective feedback.